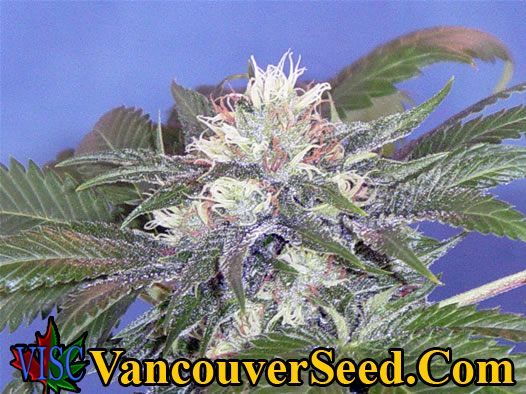 420 is an extremely flavorful bud and is a delight both in your grow and in your stash. This hybrid has the best traits of her parents and all the vigor of an F1 hybrid. This 50/50 Indica /Sativa is extremely flavorful with a powerful and active high. 420 placed in the top 5 at the first Tokers' Bowl and took First Place at the first Cannabis Culture Cup in Vancouver in 2000. Grows well indoors and out.